Stephanie Jones found the perfect way to recognize her beloved horse Socks. Stephanie got Socks, a registered paint, in high school. She had shown and ridden horses since she was 3 and competed in horse shows through college, but Socks would prove to be unforgettable. 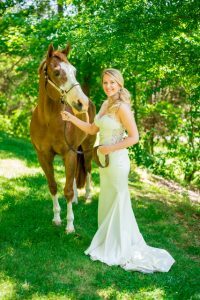 A former barrel racing horse from Texas, Socks traveled with Stephanie to college at East Carolina University. She showed him about once a month and the two competed in equestrian jumping events. They were a team. Socks always challenged Stephanie, up until his last competition in Raleigh two years ago where took home a second-place prize before retiring to a farm. Two years ago, Stephanie lost Socks. Socks had always come running whenever she called for him. One night, that didn’t happen. When he finally appeared, the 25-year-old, formerly unshakeable athlete began having trouble controlling his movements; he started stumbling. By the time Stephanie brought Socks to the NC State Veterinary Hospital’s equine service, his condition worsened. Socks’ medical team determined that he was likely suffering from equine protozoal myeloencephalitis, a progressive, degenerative neurological disease caused by a parasite. The damage to Socks’ nervous system was significant — and likely irreversible. Horses were a way of life for the Jones family, and the equine service has become part of their family, too. Another one of the family’s horses has been successfully treated there for a severe case of colic. The Jones’ trusted them. So when Socks’ medical team told Stephanie that if her horse could be treated successfully, he would be so physically compromised that he would be stall-bound for the rest of his life. But Socks loved to run, and Stephanie wasn’t going to take that away from him. She opted for euthanasia. The loss was still fresh during the next few months, when Stephanie kept thinking about something she saw while at the hospital with Socks. One wall featured a Gallop of Honor, a series of plaques bearing horseshoes and personalized inscriptions honoring horses that have been treated by the NC State veterinary medical team. Stephanie mentioned in passing to her mother that she didn’t really know what she wanted for Christmas or her birthday, but she said she might like a horseshoe in the Gallop of Honor for Socks. 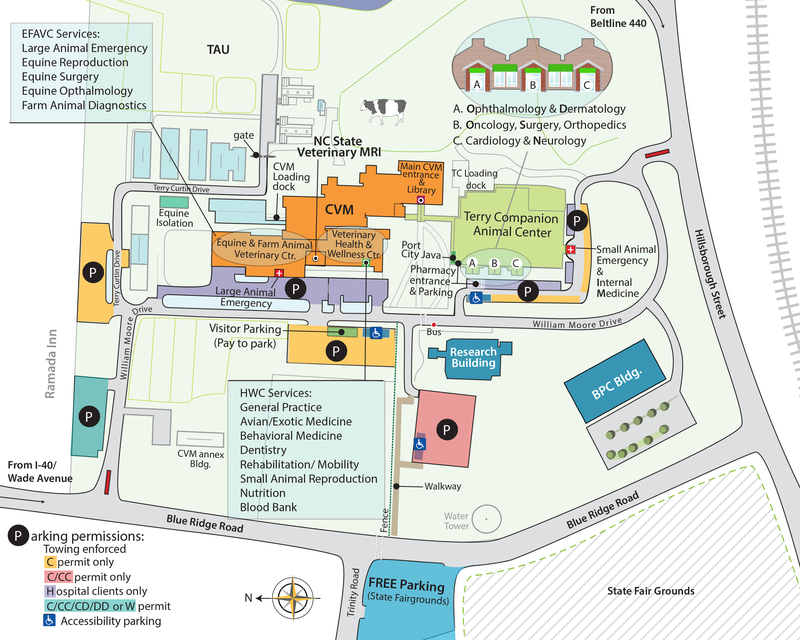 Stephanie’s husband, Jason, and her parents, Steve and Lee Ann, decided to make it happen through a donation to the NC State College of Veterinary Medicine. In addition to the plaque on the wall in the Large Animal Hospital, Stephanie’s family had a duplicate made to give her for Christmas. Stephanie put her plaque in a most special place, next to an urn containing Socks’ ashes. And a horseshoe, a symbol of Socks’ love for running, is how a very special, talented horse will always be remembered at NC State and by Stephanie. The Gallop of Honor: Personalized horseshoes are a perfect way to recognize a beloved horse, veterinarian, or friend. For a gift of $250 or more, your horseshoe and personalized plaque will appear on the Gallop of Honor wall in the Large Animal Hospital. 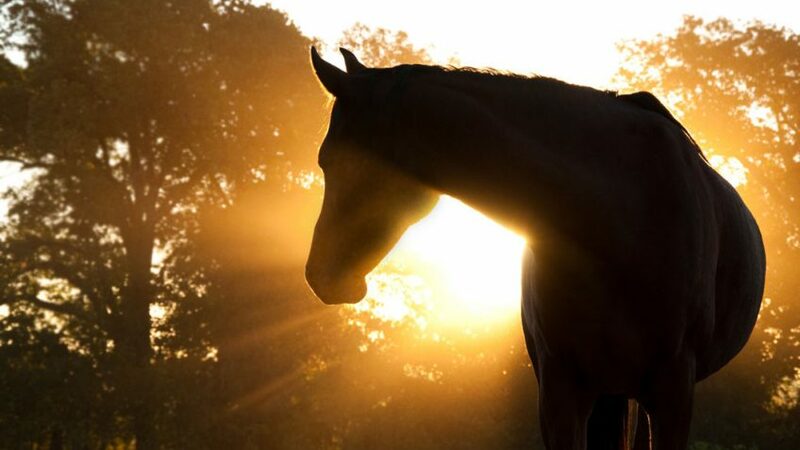 With this gift, you will be helping the College set and keep pace with the advances in equine health. For more information, please visit the Gallop of Honor page.